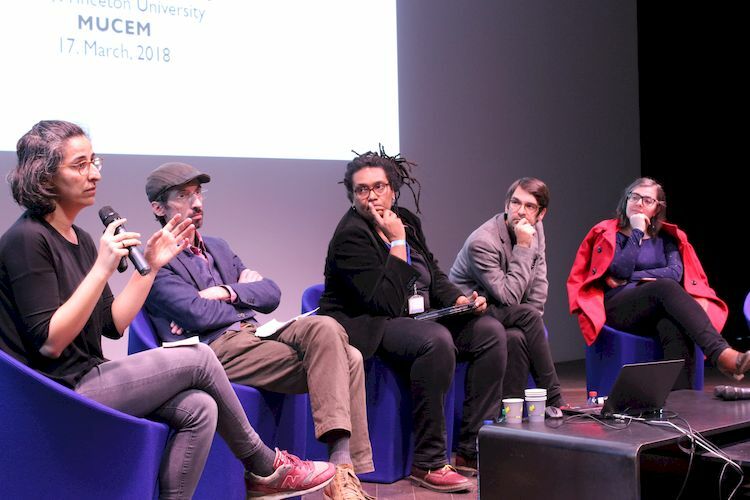 On March 16-18, the Mucem museum in Marseille dedicated three days to “The teachings of Nathalie Magnan”—the cyberfeminist, hacktivist and theorist of media, LGBT and queer cultures, who died in 2016. It’s not easy to write a report on an event that I participated in as a speaker. It’s even harder when this event was dedicated to the teachings of a friend who has since left us. So this report of Trans//Border in Marseille is necessarily subjective. Friday morning, March 16, at Mucem. I was honored to participate in the first talk on the archives of Nathalie Magnan and their integration into the Bibliothèque Nationale de France. 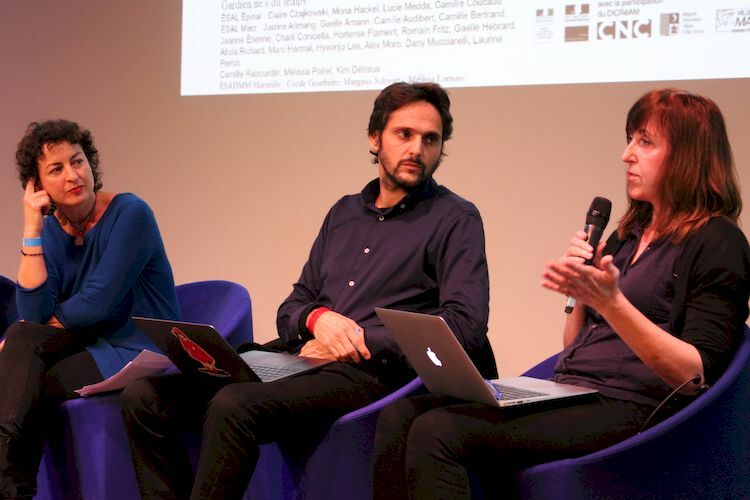 I had spoken to Reine Prat, her partner, Marie Lechner and Isabelle Carlier, co-organizers of the Wikipedia edit-a-thon dedicated to Nathalie Magnan in September and of Trans//Border, about creating a datavisualization of her online archives. 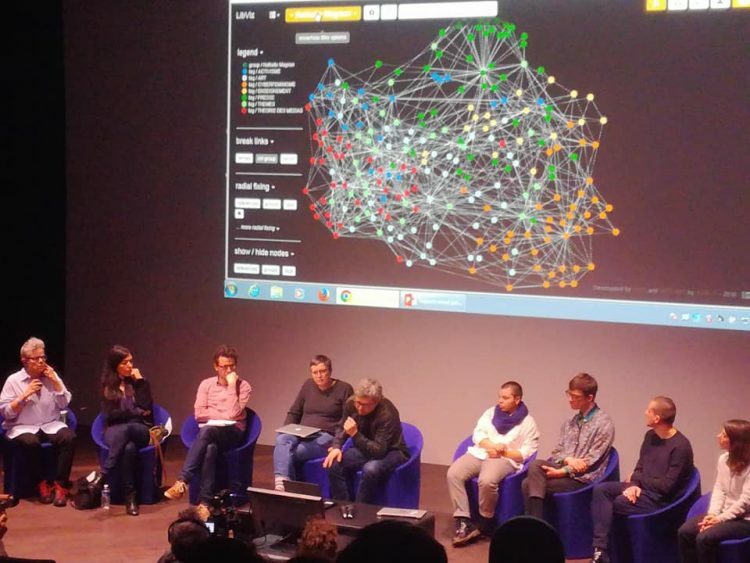 Made with LibViz (which we covered here), this datavisualization allows you to navigate through the many topics explored by Nathalie, to find the organizations and people she met along the way. Building a database from online references that were often 20 years old already required good general knowledge of her work, but in the process I discovered several aspects of her that I knew little or nothing about. Some of Nathalie’s works, such as her articles in Gai Pied Hebdo, which she infused with her own dose of lesbian culture in 1992, were not on the Internet. She was said to be “ahead of her time” in these early 1990s, after just having spent the last ten years in the United States. Following memories shared by Catherine Lord and Catherine Gonnard (my first real-life encounter with these people whom I had indexed in the open source tool Zotero), a slideshow brought the audience into the real life of Nathalie Magnan. Some of Nathalie’s films are now online thanks to the efforts of Reine Prat and the organizing team of Trans//Border. As a media theorist and activist for alternative television, Nathalie was involved in numerous TV essays for American collectives such as Paper Tiger Television and Deep Dish TV, before L’Œil du cyclone, an offbeat program produced by the French cable channel Canal+. In 1995, she was the screenwriter for Gringo in Mananaland, a documentary by Dee Dee Halleck that explored the caricatural images of Cubans and Latin Americans in Hollywood and American television in general. 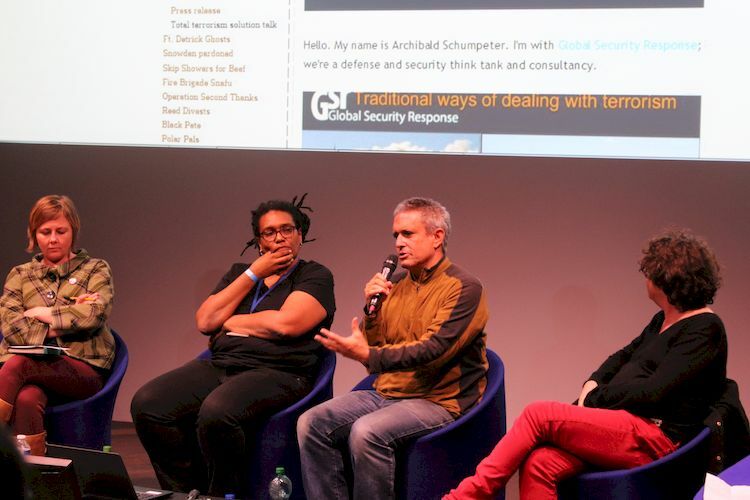 Another dimension of Nathalie’s career was her contribution to the cyberfeminist movement of the 1990s: the first Cyberfeminist International at Documenta X in Kassel, Germany, in 1997, the pioneering works of VNS Matrix, Sadie Plant, Cornelia Sollfrank, Shu Lea Cheang and Kathy Rae Huffman, with whom she co-organized an event around the cyberfeminist mailing list FACES in Paris in 2000. Nathalie also co-organized Zelig conferences for autonomous media activists, many of whom were present Saturday at Mucem, invited by Peggy Pierrot and Philippe Rivière to talk about the old good days before social media and stimulate new hacktivist vocations in the age of psychological operations conducted on a large scale from data captured on Facebook or elsewhere. Everyone who participated in Trans//Border agreed that Nathalie taught us a lot, passionate as she was about passing on knowledge. As a teacher, for almost 20 years she served on the faculty of art schools in Paris, Dijon and Bourges. 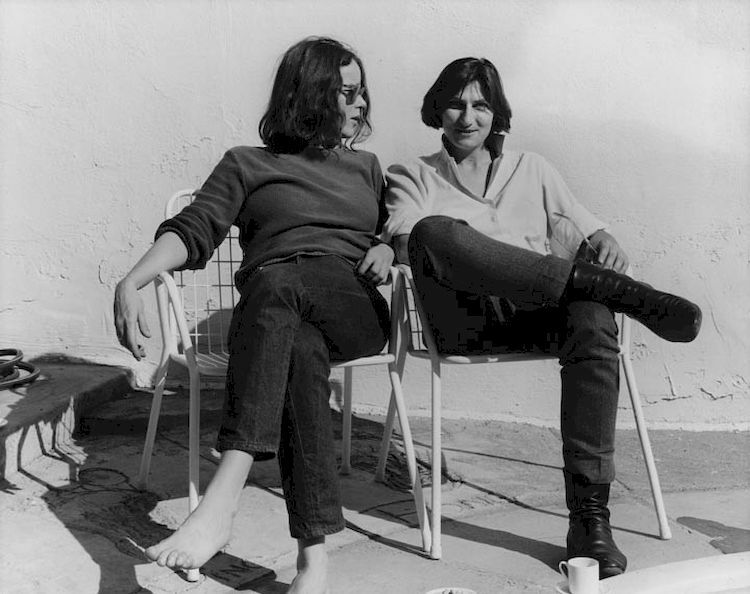 As a student, in the U.S. in the 1980s in New York State, then at the University of California in Santa Cruz, she made influential encounters: Teresa de Lauretis, the woman behind the expression “queer theory”, in the Women’s Studies department, and Donna Haraway, whose assistant she would become, in the History of Consciousness department. In 1987, she made the now-famous experimental video documentary Donna Haraway Reads ‘The National Geographic’ on Primates for Paper Tiger Television. She never stopped working to spread the words of these American intellectuals in France, especially by translating A Cyborg Manifesto and other essays by Donna Haraway with Laurence Allard and Delphine Gardey. Nathalie, a native of Marseille, was also a sailboat navigator. She pulled us away from our computers in those years of intense cyberactivism both online and in the war against terror for Sailing for Geeks. First in 2004 during the International Symposium on Electronic Art (ISEA) in Finland, which she initiated with Valentin Lacambre, a pioneer of the independent Web in France. After witnessing this first experimence in the Baltic, I suggested Nathalie to lead another navigation in 2005 for the Fadaiat: freedom of movement, freedom of knowledge festival in Tarifa and Tangiers, an event organized by several collectives from Spain (including Indymedia Estrecho) and Morocco (such as Pateras de la vida in Larache), in response to the first crises of migrants who bet their fortunes on these seabound journeys. The idea was to navigate a sailboat and communicate by radio and radar with a fortune signaling station installed by the Slovenian teams of Projekt Atol and Makrolab between Gibraltar, Ceuta, Tarifa and Tangiers. This pre-test of a permanent technological observatory of the Straits, led by independent actors of civil society, unfortunately did not succeed. 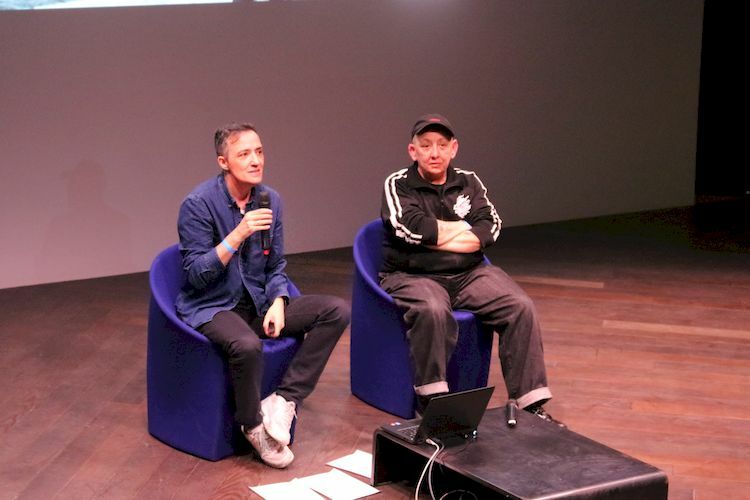 Pablo de Soto (Hackitectura), Jacques Servin (The Yes Men), Nicola Triscott (Arts Catalyst), myself and many others talked about this particular moment during our weekend at Mucem. 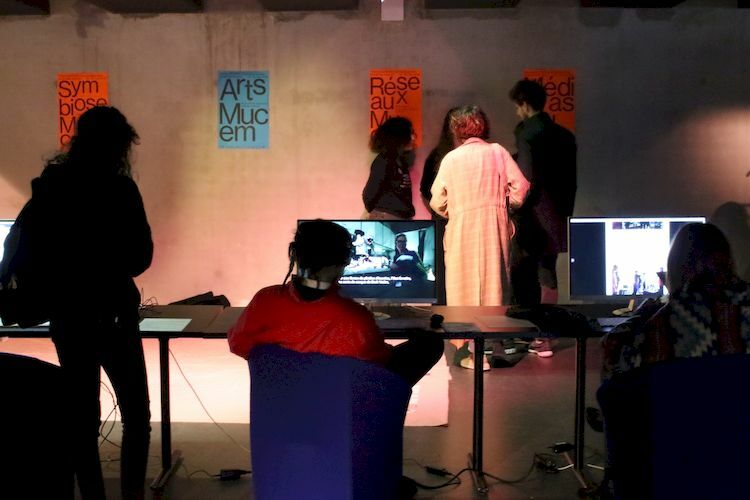 The day dedicated to the technological border of the Mediterranean, organized by Trans//Border and Isabelle Arvers of AntiAtlas of Borders at Mucem on Friday, re-stimulated people into action. Representatives of SOS Méditerranée, Watch the Med, as well as Time’s Up, Seed Journey and The Yes Men encouraged people not to lose hope! Who knows, maybe a Sailing for Geeks 3? Trans//Border also called attention to the ecological direction taken in more recent years by the Nathalie Magnan galaxy. Mucem screened Goodbye Gauley Mountain, a film by Annie Sprinkle and Beth Stephens that came out of the ecosexual movement, which Paul B. Preciado, Erik Noulette and Isabelle Carlier introduced to a full house. Finally on Sunday, to conclude this “femmage” (female counterpoint to “homage”), according to the terms of philosopher Vinciane Despret, “very symbiotic” discussions took place around our relationship with the dead, the last writings of Donna Haraway on the Chthulucene, ecofeminism, Lynn Margulis’s endosymbiotic theory of evolution, Amazonian perspectivism. Nathalie dreamed of a cosmic escape to the Amazon of Guyana, recalled the artist Chloé Desmoineaux, a “baby Magnan” as she called herself, and a loyal student of hers in Bourges.